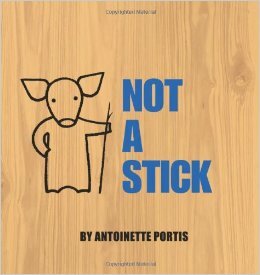 Today we feature Antoinette Portis, author-illustrator of a number of picture books, including the best-selling NOT A BOX and NOT A STICK. Be sure to enter her giveaway of her latest book, FROODLE. Tell us about your background and how you came to write and illustrate picture books. I told my 5th grade teacher I wanted to write and illustrate children’s books when I grew up. My best friend and I vowed to each make a book in the next year. She handed me hers a few years later, but it took me a few decades longer to keep up my end of the deal. In high school, I wanted to be a poet, but I chickened out after a poetry teacher my first year of college told us being a poet was a doomed career. I chose art instead, because, hey, no problem making a living as a video performance artist. Needless to say, after graduating from UCLA art school, I had to find a way to support myself. Graphic design made sense—I could be creative and still make living at the same time. I segued from there into advertising. Making TV commercials was really fun for a while. But once I had a baby, I wanted more time at home, so I started freelancing and ended up at Disney Consumer Products. I took a 3-day gig that ended up being an almost 9-year career. But as I moved up the corporate ladder, my job got less and less creative and less and less aligned with my nature. So I left. I wanted to write and draw. It was time to make picture books. Your stories are so imaginative and graphically striking. What inspired you to write NOT A STICK and NOT A BOX? My writing teacher, Barbara Bottner encouraged us to write about something that mattered to us when we were children. I have really strong memories of imaginative play with my siblings and the neighborhood kids. Building blanket forts, sword fighting with sticks, self-sufficiently entertaining ourselves on weekends and over the summer months. It's a powerful thing to be able to get lost in play, to have your imagination take over. I had a vivid memory of sitting in my childhood driveway with my brother, in a cardboard-box train we'd made (we were really proud of the fact that we'd made headlights for the engine out of tin can lids). We sat in our boxes and made train noises and it felt real: we were in a train barreling along a mountain's edge, about to head into a tunnel (that happened to be our garage). I wanted to write about that feeling of being completely transported. Part of the equation was picturing the scene from a mom’s point of view: "What are those kids doing sitting around in boxes?" I liked the tension between what an adult sees and what a kid is imagining. So the book took the form of a dialog between a stubborn imaginer and a dogged realist. As for the look of NOT A STICK and NOT A BOX, I spent a lot of years as a designer and art director, so I was going for strong, clean design. Tell us about your most recent book, FROODLE. As you can tell from our banner (www.kidlit411.com), we have a soft spot for birds hanging out on wires. Can you describe your illustration process for this book? I wrote the text in 2005. It was called NOT A PEEP. I thought it was funny to use "not" in the title in a completely different context than my first two books. But the book went through several iterations before it became FROODLE and landed at Neal Porter's Roaring Brook imprint in 2012. Every book is an experiment. I'm never sure, starting out, what the illustrations are going to look like or what my process will be. The unfoldment is a surprise. Basically, I start out with pencil drawings. I scan them, adjust them, and then add the color in Photoshop. For FROODLE, I made textures with sponges, dry brushes, rollers, vine charcoal, stamps made from erasers, etc. The loofah from my bathroom is now dyed black with india ink. When I was taking photography in art school, I was really into Lewis Baltz's photos of suburbia. I knew I wanted FROODLE to take place in a suburban neighborhood, so I used my Baltz-inspired art school photos as reference. WAIT, another book from Roaring Brook/Neal Porter, is coming out next July. I'm just about done with illustrations for a Hyperion book written by David Teague. It's my first time illustrating something I didn't write. I loved the text the first time I read it. I could see the illustrations and the page turns in my head. It's really been a fun project. I found out I like illustrating other people’s words as much as I do my own. Though, when I illustrate for myself, I boss the writer around quite a bit. Right now, I’m starting work on illustrations for my third book for Neal Porter about two alien friends. What are the one or two things you did that most helped you in your picture book illustration career? ––Taking classes in picture book writing and illustration at Otis, Art Center, and UCLA extension, as well as Barbara Bottner's master class. I’m lucky to live in LA and have all these great resources. Like: Marla Frazee teaching at Art Center! ––Going to SCBWI (Society of Children’s Book Writers and Illustrators) summer conferences to get the lay of the land and see how the publishing business. ––Getting in a critique group with talented writers I trust and admire. ––Taking life-drawing classes at the Animation Guild. There are insanely expert artists drawing all around me–it's utterly daunting. But life drawing is a required life-long discipline for an illustrator–a learning curve with no end. I also have to say that being a creative professional for many years was good training in not falling apart when someone says NO to a project. I've got thicker skin now, certainly, than when I left art school. Not that I don’t cry once in a while. But I bounce back. Be patient, persistent, and do everything you can to perfect your craft. If you make something good, and don’t give up, you will get published. A performance art video I made in 1972 is in the Getty Museum video archive. I’m proud of that artifact from an earlier me. On Facebook and at antoinetteportis.com. I'm kind of a laggard about keeping my website updated, though. 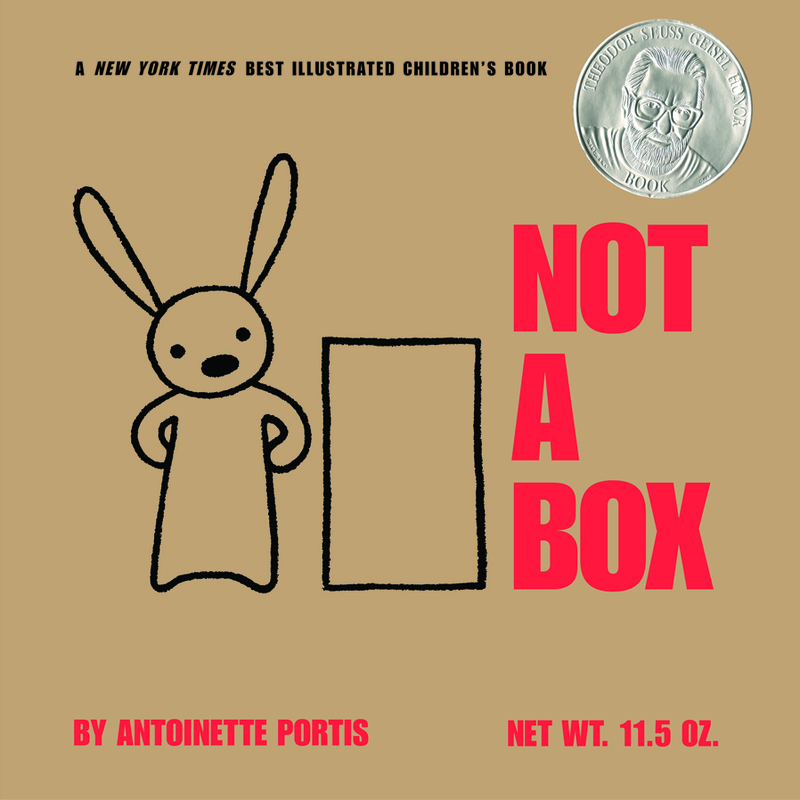 Antoinette Portis made her picture-book debut with the best-selling Not A Box, an American Library Association Seuss Geisel Honor book, and one of the New York Times Ten Best Illustrated Books of the Year. She was a recipient of the 2010 Sendak Fellowship. Antoinette graduated from UCLA with an art degree, then worked in advertising and graphic design. She was a creative director, then a VP, at Disney before she bolted to do what she had always wanted: make picture books. She lives in Los Angeles. Froodle, her newest book, came out this spring. 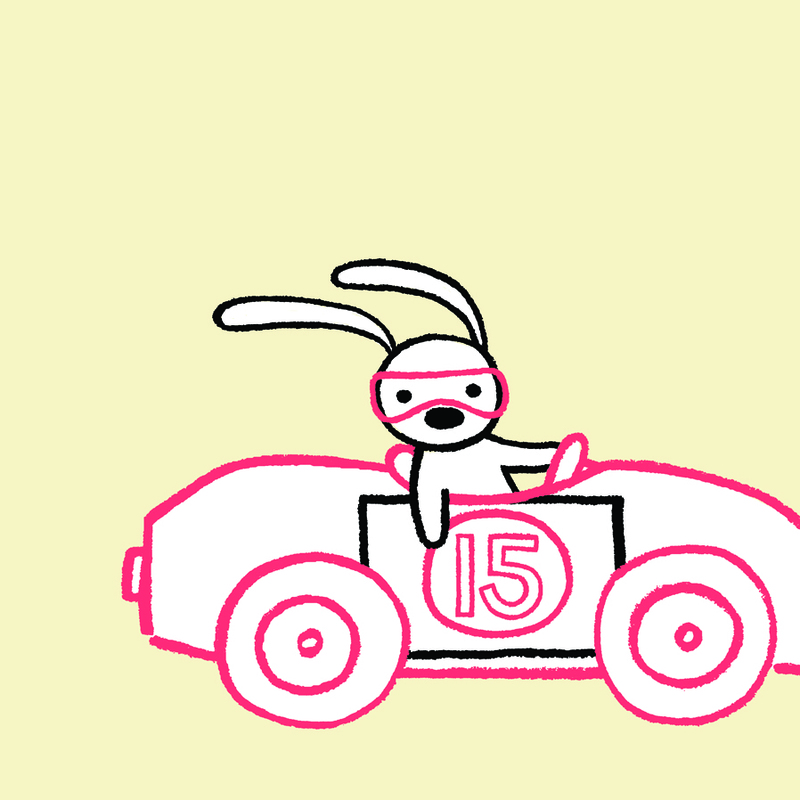 I am racing over to your web site right now! I also take classes at the Union in Burbank! I love your graphic style. Thanks for sharing! Love your books for their simplicity and originality! 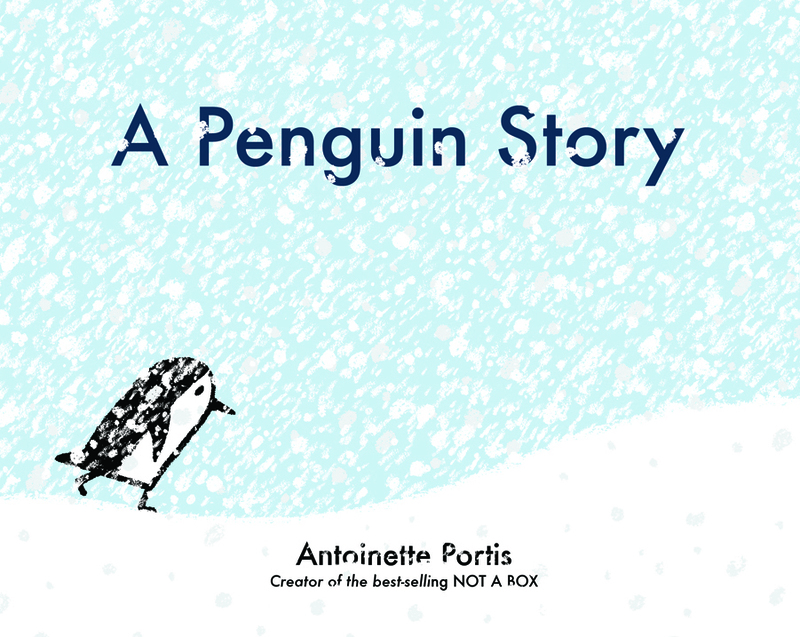 I love the art for A Penguin Story! What an amazing experience it must have been to learn from Marla Frazee. The advice from Antoinette's teacher Barbara Bottner is excellent too. Thanks for the interview and giveaway! Froodle is such a fun word to say! Great interview and thanks for the giveaway. Great interview! I enjoyed reading and learning from this. I really want to read Froodle. It looks so cute! And I love the word "froodle". reminds me of "Frindle". What fun. You have such a fresh and playful style! Thanks for the inspiration. Cool beans of an interview, Antoinette. Interesting to see you were inspired by Lewis Baltz's work, and I'm really looking forward to your upcoming books. Also love your BotD posts! 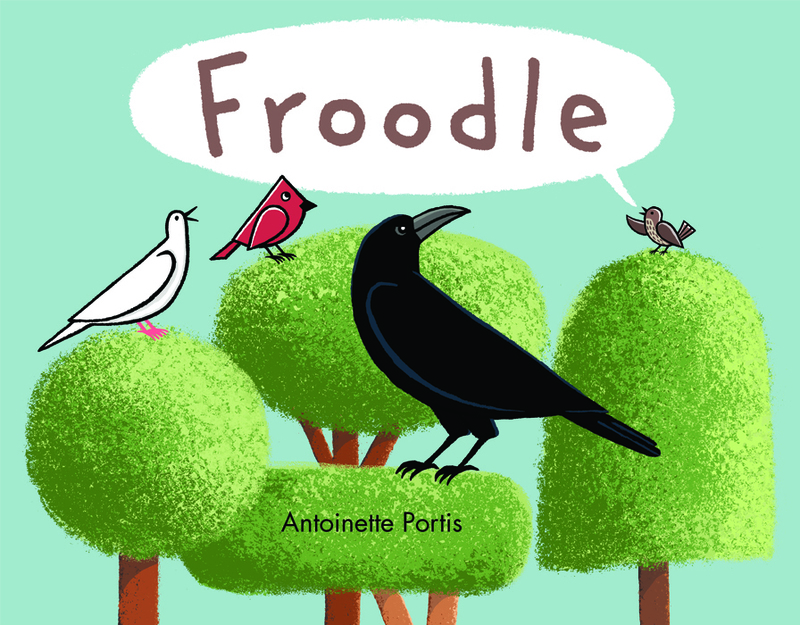 I love the name of your new book, Froodle. If I should win the giveaway, please write a note inside the book to the Little Free Library Walnut, CA. After I read it, I will put it in my box of books in the front yard to share with others.Thanks for all of your "NOT" books...LOVE THEM! Thanks, everyone, for stopping by and reading my interview!